When Comcast acquired DreamWorks Animation, it wasn't clear if DWA's fruitful relationship with Netflix would continue. The worry was that as a multimedia firm with a vested interest in Cable Television, it would want to end the relationship with a company that could be seen as a competitor. While this could still prove to be the case in future, for now at least the relationship seems safe as DreamWorks TV and Netflix have announced a whole new slate of programs for 2018. The biggest news is a reboot of the 80's cartoon She-Ra. Originally launched as a spin-off of He-Man and The Masters Of The Universe, this time The Princess Of Power is making her comeback alone. The series is being pitched as " a modern take on the ‘80s girl power icon for a new generation of young fans", and comes from acclaimed comics author and animation writer Noelle Stevenson (Lumberjanes, Nimona, DuckTales). 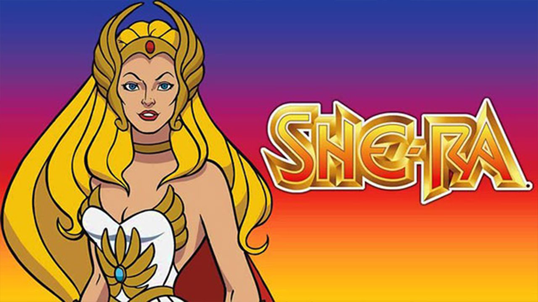 She-Ra will be joined by a trio of series based on DWA's theatrical releases. First up will be Trolls: The Beat Goes On, followed by The Boss Baby: Back In Business and The Epic Tales Of Captain Underpants. Harvey Street Kids is an original animated series about three best friends named Audrey, Lotta and Dot, from Emmy-nominated executive producer Brendan Hay and Emmy-nominated supervising producer Aliki Theofilopoulos. Finally, Guillermo del Toro's Tales Of Arcadia will continue in 2018, with not only a third season of Trollhunters but with 3 Below, the second chapter in GDT's expanded universe. Currently, the only series with a confirmed release date is Trolls, which will arrive on January 19, 2018. The other series are set to debut at some point during 2018, but do not yet have a more specific date. Be sure to stay tuned to AFA, and we'll let you know as soon as we know more!